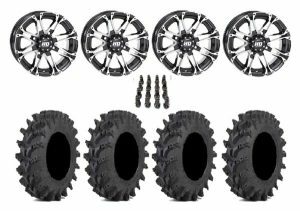 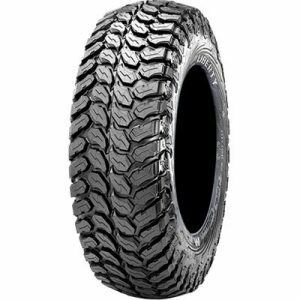 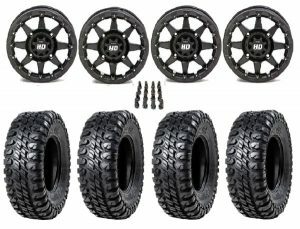 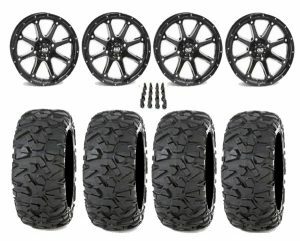 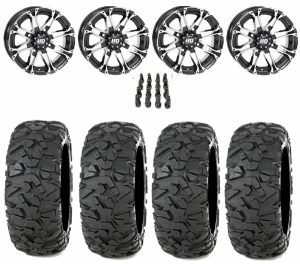 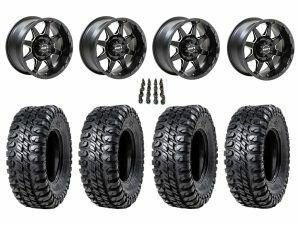 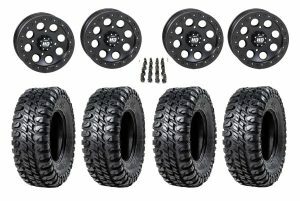 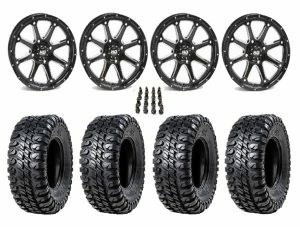 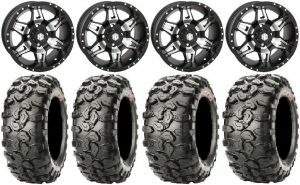 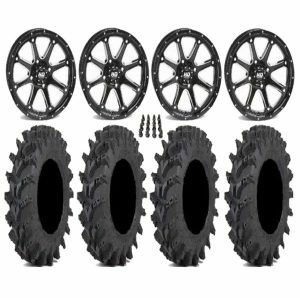 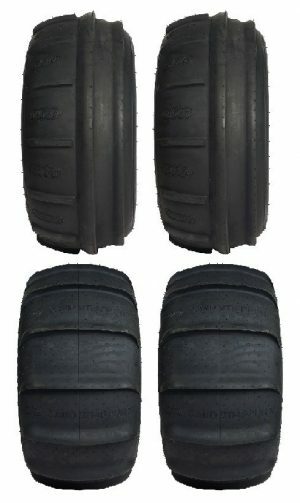 Includes: (2) 27-11-14 CST CLINCHER REAR TIRE (6pr) (2) 27-9-14 CST CLINCHER FRONT TIRE (6pr) (4) 14 x 7 4/110 2+5 STI HD7 Matte Black/Smoke Wheel (1) Set of Black Lug Nuts Wheels & Tires Come Mounted Includes Free Shipping! 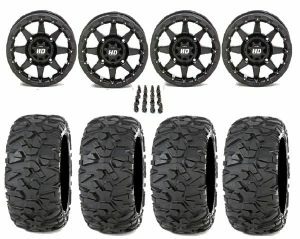 PRP’s XP 1000 Spare Tire Mount attaches to the end of your RZR’s bed, leaving it open to store your cooler or other items. 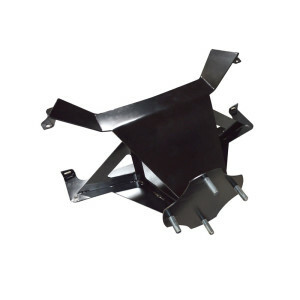 Made of steel and secured with additional support rods, this mount is strong and capable of carrying a front tire and rim.